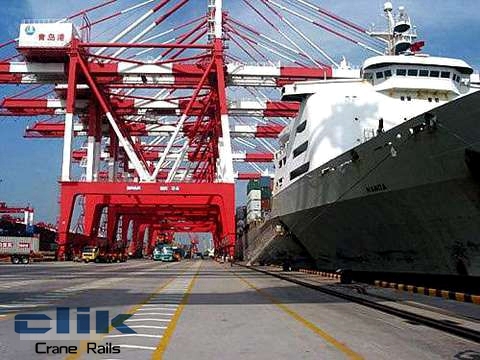 Congratulations on Steel Clik's success of winning the tender to supply crane rails to Qingdao Port in Aug,2015! Among the world's top 7 ports, the port authority has enjoyed a history of over 120 years. 73 berths at this port are to handle various cargo among which 24 are utilized to handle metal ores, coal and other general cargo. Leveraged with the natural deep-water capacity and start-of-the art facilities, the port can accommodate the world's largest container vessels,iron ore vessels and oil tankers.